Yet if you asked the basketball gods for their truest definition of a gym rat, they would tell you it’s actually an uncommon term, one reserved for those who truly embrace every second of their existence as basketball players. 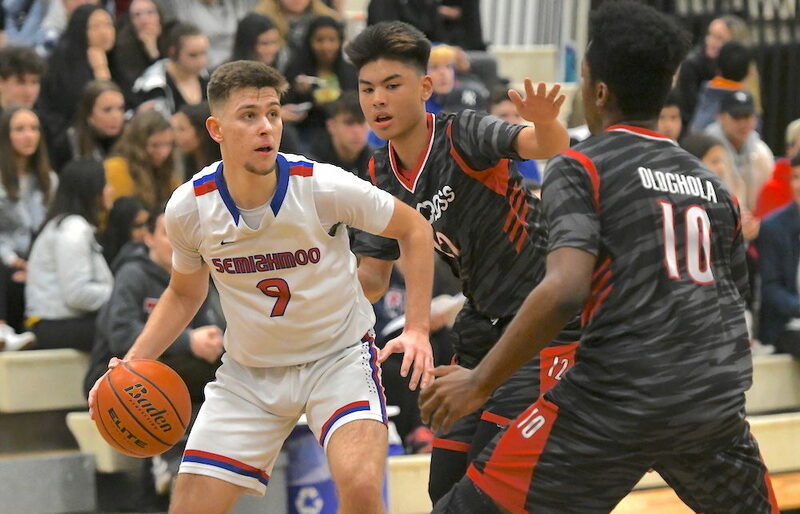 Or, to save some time, they might choose instead to tell you the story of Vlad Mihaila, the 6-foot-5 senior scoring guard with Surrey’s Semiahmoo Totems. Mihaila, along with Adam Paige, the 6-foot-7 forward and Alberta Golden Bears recruit, were the engine room of a Semiahmoo team which last month lost to the Burnaby South Rebels in the B.C. senior boys Quad-A championship final at the Langley Events Centre. Mihaila, who averaged 26.5 points, 8.5 rebounds and 5.6 assists per game this past season, will be joined by Abbotsford-W.J. Mouat forward Dhivaan Bhogal in the UFV freshman class. Mihaila, who admits that his five-year high school basketball career went by faster than he could have imagined, says he is determined to savour every second of the five years he has coming within the cozy confines of his new home at UFV’s Envision Athletic Centre. Now that is a gym rat talking. “I appreciate that term because when I first started playing, I wasn’t the best, but I got into the gym and made it my priority to outwork people,” continues Mihaila who has made two-to-three training sessions in the gym per day his year-long norm. Mihaila is joining a team which returns completely intact from last season, and it’s a growing group which knows it has something to prove after missing the Canada West playoffs. Semiahmoo’s Vlad Mihaila (right) will head to Fraser Valley while his Totems’ teammate Adam Paige packs for Edmonton and a freshman season with the Alberta Golden Bears. (Photo by Howard Tsumura property of VarsityLetters.ca). For his part, Mihaila has always been one to set clear career goals and then work hard to achieve them. 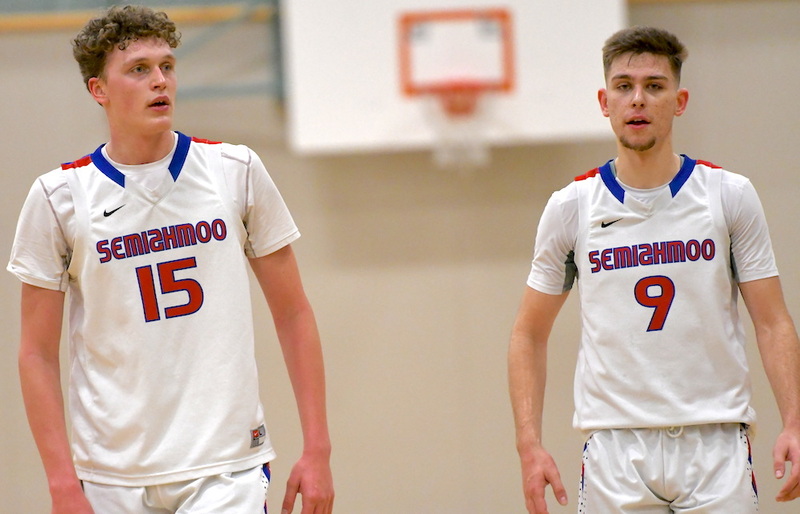 As both he and Paige hit the high school ranks at Semiahmoo five seasons ago, they schemed and dreamed of one day playing together on the same university team. And although that didn’t happen, it hasn’t changed the longterm goals of either player to win national titles at the university level. “It’s definitely a goal to win nationals,” he says of his impending UFV career, “but the focus has to be on taking each year as it comes because we had a young team last year and there is a lot of developing to do. Where he’ll no doubt inspire the next generation of gym rats. Next week: The story Dhivaan Bhogal, another of UFV’s marquee men’s basketball recruits.